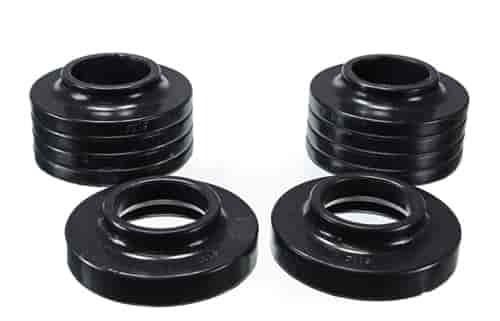 Whether you are racing or restoring, new coil springs are not complete without these polyurethane isolators from Energy Suspension. The polyurethane construction will make these isolators last longer than any rubber isolator can. The isolators that are application specific are built to OE specifications for an easy upgrade. These isolators will not adversely affect the ride characteristics of your vehicle. Does Energy Suspension 2-6102G fit your vehicle?